This photo was taken about 30 minutes after sunrise on an early December day. Our neighborhood was shrouded in fog and I hoped to capture it hanging over the river. Normally fog clings heavily to the river but this day was different. 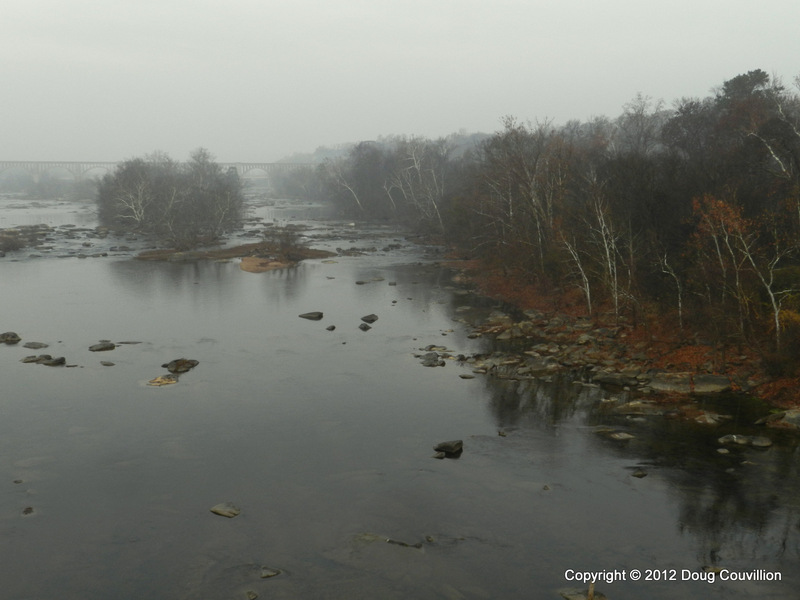 I was a little disappointed but enjoyed this view from one of Richmond’s many bridges over the James River.